I recently spent a month living at an Ashram, called Satchidananda Ashram (and often referred to as “Yogaville”), in southern Virginia. It is located right along the James River, in the foothills of the Blue Ridge; a picturesque setting to take a step back from “real life” and work on developing a practice. But what kind of practice does one develop at Yogaville? It’s a place for yoga, and a place for pushing one’s limits, but not necessarily in the way one would expect–that is, in learning extreme poses and becoming a super-bendy yogi. 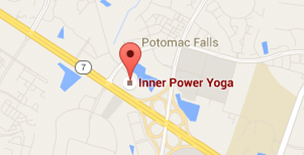 It’s a spiritual center, one where knowledge of all parts of yoga is available. This includes asanas, yes, but these asanas are not goals unto themselves. That is because “the goal” of Integral Yoga, which is the style taught at Yogaville, is not to develop strength and flexibility but, instead, to calm your mind in order to see your always-peaceful Inner Self—not to increase physicality but to transcend it. Asanas are one of many pieces of Yoga that help you to do this. The other pieces include studying the Yoga Sutras, devotion, meditation, repeating mantras, doing selfless service, and even philosophizing a bit. I learned what it means to do all of these, and more; and while I’m no longer waking up at 4:30 every morning to meditate for 75 minutes, and I don’t end up with holy ash on my forehead every other day, I’ve taken away a lot and have been working to incorporate it into my life here, at home. However, I’m finding that to be really difficult, and I’m only now understanding why. The most unique part of being at an Ashram—what makes it a special place—is not what I thought it was. It’s not the Swamis walking around campus, or the shrines in every room, or the Prasad (holy food) offered several times a week. It’s not the classes or the chanting. I posit that it was the people themselves, and the community that they have created. It was being around so many different and yet like-minded people. There were people of every age and walk of life. Everyone was coming from different backgrounds and circumstances. And yet, we were all living at an Ashram—so we clearly had something in common. This made it surprisingly easy to talk to people who were very different from myself because everyone was contemplating similar ideas. It also meant that things got “really deep, really fast.” I can’t think of a typical non-Ashram situation in which you would be having breakfast with someone you met a week ago and be debating what it means to be truly selfless, or what non-attachment means and how it plays out in daily life. We took it very seriously, but not too seriously—because, if I’m being honest here, a number of the non-attachment discussions were around whether we were allowed to love our pet cats. It was an amazing community because discussions like this happened all the time. What is Ahimsa? What is the Ego? These are all big concepts that are difficult to parse on one’s own, but in the company of others you can start to make sense of things. So, while I think that the Ashram gave me great tools to bring back into my life at home, the most important thing that it provided was a community to help me to build these tools. It’s also the piece that is most difficult to maintain. I can meditate every day, read the Sutras, go to yoga class at the studio, all on my own. But, when I am struggling with understanding what Patanjali really meant in Sutra 2:33, or having difficulty making a big life decision, the most helpful thing is having someone else to talk to about it. Deep, meaningful, open and honest relationships are a core part of life and of practice. That’s not to say that these kinds of relationships can’t exist outside of an Ashram. They can, and they do! The difference is that they are not set up for you—you must work to find and maintain them yourself. In the “real world”, you don’t conveniently get paired with roommates who want to discuss the Eight Limbs of Yoga in their downtime. You won’t always sit down to lunch and find people who are discussing the recent Puja (worship ceremony) that they attended. You have to work to find your spiritual community. The great thing is that it is possible. Not only is it possible, but it’s also not necessary for you to start from scratch—there are places where you are likely to find a spiritual community already flourishing, or if not, the potential for one. Yoga studios are a great start! Everyone gets into Yoga for a different reason, and some people are very interested in the spiritual aspect. Meditation groups and classes might also be available. However, I’m learning that a spiritual community can be built in the most unexpected places. What I’ve found is that if I am open to talking about these things, other people often are, too. I am continually surprised by how easy it is to have these “deep” conversations with friends; the only thing that was stopping us was that I assumed they weren’t interested and never brought it up. The first and most important step in building your personal spiritual community is as straightforward as it is difficult: approach with an open heart and an open mind. When you do this, the rest will fall into place.